Paediatric Cardiologists are doctors who have specialised in children’s heart problems and diseases. They are responsible for the treatment of any disease or abnormality in the heart or circulatory system of children. They mostly deal with heart problems of infants, pre-teenagers, and teenagers. Most paediatric cardiologists take care of congenital diseases, i.e. heart diseases which are present at the time of birth. Cardiologists in Dubai are quite famous for their medical works and facilities. Congenital heart diseases are quite common, statistically affecting 9 infants out of every 1000. Here are a few things you need to know about the heroes in white overcoats, paediatric cardiologists. Paediatric cardiologists are always available, either in the hospital or over the phone. They rarely take a leave or a break, as they deal with one of the most sensitive section of medicinal diseases. They are constantly working to save lives of kids, as heart diseases are mostly life taking. As they are with kids around the clock, paediatric cardiologists actually enjoy working with kids. It is also a very important section of their job descriptions. In most cases, a heart disease of a kid is more complicated than that of an adult. So they are constantly checking their patients, spending more and more time with them and help them recover as fast as possible. As mentioned earlier, heart diseases in infants and children are most of the time more complicated than heart diseases in adults’. Hence, a team of experts is required to conduct surgeries and operations. During the time of surgery, cardiac surgeons and paediatric cardiologists work as a team to operate any heart disease a child might face. Paediatric cardiologists constantly keep researching and experimenting to make medical conditions better for kids suffering from heart diseases. As they already spend long hours in the hospital, they tend to put it to good use by researching more and more about the diseases so that they can come up with better treatments for their patients. Infants and kids with heart problems tend to spend a lot of time in hospitals, under the supervision of a particular paediatric cardiologist. How can someone not get attached to the most lovable creatures? Most doctors are empathetic to their patients, but a paediatric is the ones who get attached to them and love their patients. 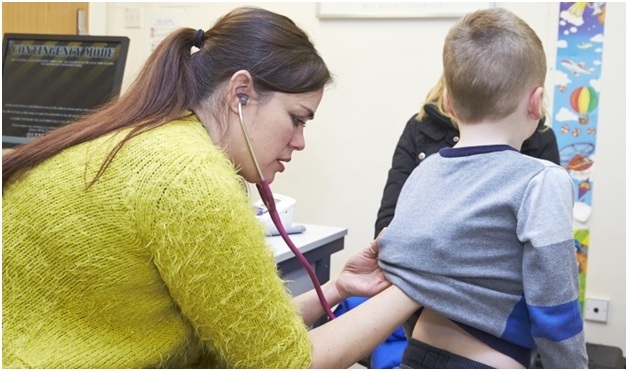 The role of a paediatric cardiologist is very vital in medicines. They have long working hours, go through the more emotional stress and have to conduct more researches and experiments. They are truly heroes in white coats who put everything on the line to save their patients. Cardiologists in Dubai have access to the best facilities in the world to improve the medicinal treatments of patients with heart diseases and problems.